I want to go to the National Championship but don’t really know anyone else going. One of my shooting buddies went to Nationals by himself a few years ago and, while it was a great experience, his squad wasn’t that great. Any tips on picking a squad since it will be my first time going to Nationals and don’t know anyone else going? The National Championship is fast approaching and the squadding is definitely tightening up. As for selecting the right squad to shoot with at the National Championship, my advice is to start local. Inquire at your local club about who else might be attending the Nationals from your area. Whether it’s the club owner or the person most often behind the counter as you check in, find the person at your local club who always seems to know all of the patrons. Ask him or her who else from the club might be venturing to San Antonio this year. Even if you don’t recognize the names they share with you, find out if the shooters mentioned might be a good group to squad with and see if you can get an email address or phone number. The community of sporting clays shooters is friendly, pretty tight, and almost always welcoming. More than likely, the folks at your local club will know one or more shooters attending. If not, try the same approach with your state delegates or the board members of your state association. We sporting clays shooters are a friendly bunch and are more than happy to host first-time attendees at the Nationals. I went to my first National Championship not knowing a single person on my squad. It turned out, however, that there were quite a few folks at the event that I knew from attending other tournaments that year. If all else fails, when you register for Nationals, request to be squadded with other shooters from your state even if you don’t know them. If none of the above works for you, my advice is to jump in anyway! It’s a great experience and the National Championship gets better every year! Don Currie is NSCA’s Chief Instructor, an Orvis Wingshooting School instructor, and Master Class competitor. 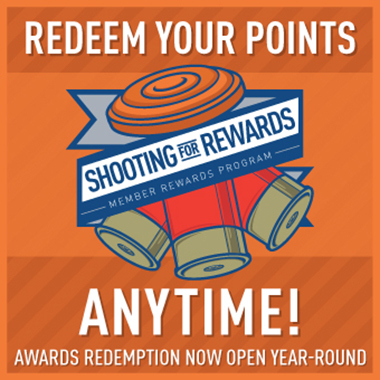 To get free shooting tips and videos, sign up for his monthly newsletter. You can also see more tips from Currie at www.doncurrie.com.